The Crown line consists of axle, body, brake, clutch, cooling, driveline, electrical, engine, exhaust, fuel, steering, suspension, transmission and transfer case components. But we know that price is important as well. Authorized Crown Automotive Jeep Replacement Dealer! Dual Exit Cat-back System. This is a custom built exhaust system, made in 304 stainless steel. Exhaust Fitting Kits. Exhaust Reducers/Connectors. 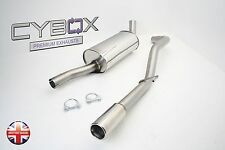 Save money over main dealer prices - w e fabricate OEM patterned stainless steel exhaust systems. 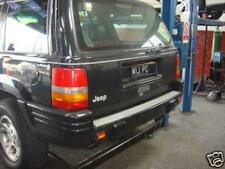 Jeep Grand Cherokee V8, 1999 to 2005. GIVE YOUR JEEP THE FANTASTIC V8 BURBLE IT DESERVES . The system utilises a ‘straight through’ silencer design for optimum flow and a distinctive V8 growl. Sounds great without being too noisey inside the car. 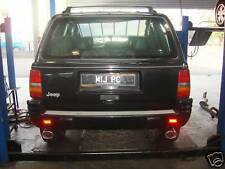 Jeep Cherokee 4L. Stainless Tube & Pipe. Parking Reverse Sensors. Exhaust Fitting Kits. This is a Cat-Back Stainless Steel Exhaust System. Exhaust Reducers/Connectors. Your standard exhaust system will have restrictions within the exhaust boxes known as baffles & chambers. Flexi Pipes. Parking Reverse Sensors. Exhaust Fitting Kits. Exhaust Reducers/Connectors. This is a custom built exhaust system, made in 304 stainless steel. 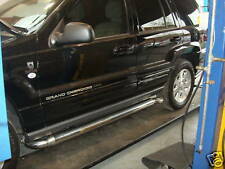 Save money over main dealer prices - w e fabricate OEM patterned stainless steel exhaust systems. 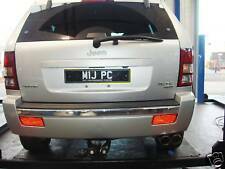 Jeep Grand Cherokee V8, High Output, 1999 to 2005. GIVE YOUR JEEP THE FANTASTIC V8 BURBLE IT DESERVES . The system utilises a ‘straight through’ silencer design for optimum flow and a distinctive V8 growl. 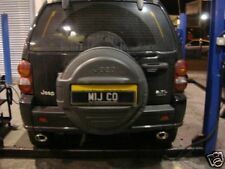 JEEP GRAND CHEROKEE 3.0 CRD EcoDiesel (WK2 Models). The original exhaust tails are hidden behind the rear bumper line, plus they lack the presence of the HRT version. Free Flow characteristics. Polished T304 Grade Stainless Steel. Dual Exit Cat-back System. This is a custom built exhaust system, made in 304 stainless steel. Save money over main dealer prices - w e fabricate OEM patterned stainless steel exhaust systems. Exhaust Fitting Kits.